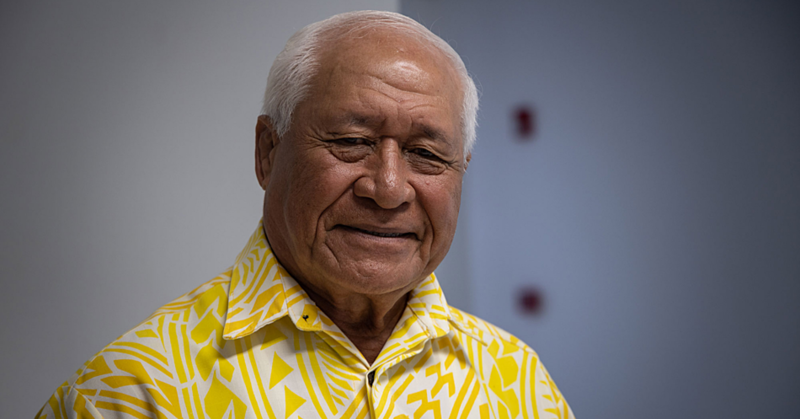 The Government has failed to do its part to ensure clean drinking water reaches every family in Samoa. Fili Iosefa, a mother of three who lives at Satapuala-uta, says she has been waiting for about 10 years for the Government’s water supply. “We have been living here for about ten years and the water connection does not reach our area,” he said. Living with children makes things even more challenging. 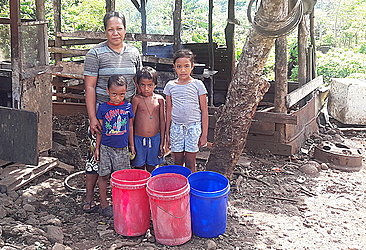 “As you can see, I have three children and my eldest is a girl who is nine years old and we need water supply,” Mrs. Iosefa said. The impact of having no stable water supply is a daily struggle. “So my husband fetches water from the village’s water tank and it is a daily chore,” she said. “Sometimes my husband leaves to see his family in Siumu and we are stuck here with no one to fetch water. " “It’s just inconvenient for us." “I would think that at this time and age, with a multimillion airport project, that the Government would consider getting us connected to the water." “All we need is stable water supply for our food, drinking purposes and for bathing." “The Government is investing in so many projects, so please could they try considering that water is a need and should be prioritised." “If they cannot assure water connection, can they at least get us water tanks?" 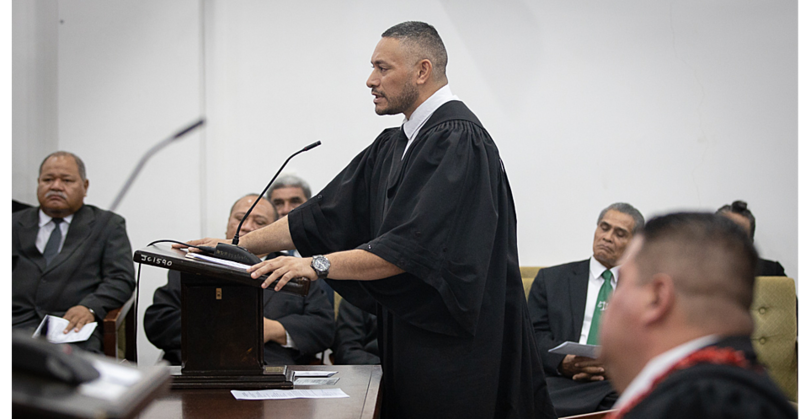 “It is only common sense the need for them to live up to the government’s motto and that is to serve for a better Samoa." “Not just a few, but for all,” said the concerned mother. How do they go about getting water? “The village water tank is located far from our house and that is where my husband fetches water and when it rains it’s like winning the lotto. “My concern is that why are other families in Satapuala getting water and yet we cannot connect to the government’s water supply." “I just want the government to give us a little help, if not stable water supply, can they please give us water tanks?" Mrs. Iosefa and her family live off money they get from what they sell at the market. “If it’s a good week, we collect about $200 and sometimes less." “And even that is never enough because of the high cost of living and for the life of me, our family cannot even afford the price of a water tank,” she said. “We sell taro, cabbage, bananas and that is never enough,” she said. The Samoa Water Authority (S.W.A. ), Corporate Manager and Media Spokesperson, Kolone Tikeri said for the specific area, there are issues with the borehole in Faleolo. “It is the low pressure with the boreholes that is the problem and because the said family live inland they are in a high elevation area and due to the low pressure, the water cannot reach that specific area,” said Mr. Tikeri. He explained that as much as the S.W.A. wants to install water systems everywhere, it depends on the source of water. “So you see, water cannot be pumped from underground in all parts of the country, unless there is aquifer." “Only certain areas and some aquifer are reliable and some are not." “So you see for Vaitele and Leulumoega, it is catered by the river Fuluasou in Ululoloa." “That is the extent that borehole can reach, but sadly it stops in Leulumoega, again as much as we want to install water systems, it is just not possible without a water source." How they are doing that, Mr. Tikeri did not specify. He also pointed out that for Satapuala they have their own water system, however last year the Village Council have requested for water connection to the government’s water supply. “Their request came from the Minister and it is quite a massive project and very expensive, however the S.W.A. has included it in our proposed projects to be funded under our water schemes,” said Mr. Tikeri. You can reach Mrs. Iosefa on 725-3439 if you want to help her family with a water tank.